To avoid the kind of financial strain that can lead to marital stress, couples who are planning to be married should be up front with their finances from the get-go. When two people decide to get married, things like buying a home and having children are often top of mind. Retirement planning? Not so much. However, financial advisors say that more couples about to tie the knot are thinking about how their money lives will merge with their love lives. Doug Buss, president of Winnipeg's YourStyle Financial Planning Inc., points to a recent exchange with a client as an example: The man's 27-year-old son is well positioned for a financially stable future, with a good salary, an employer RRSP contribution plan and no debt. His partner, on the other hand, likes to spend and has accumulated significant debt. "She doesn't manage her money very well," Mr. Buss says. "He said that he doesn't want to feel obligated to pay off her stuff. "A good relationship takes work; a good, successful business takes work; and good financial habits take work," he says. "If you're not willing to do the work, you're in trouble. As a holistic financial planner, this is a huge concern for me, as there are many individuals and couples who have contacted me once they're in a pickle, and then we have to look at the alternatives and implement a strategy to get them out of debt and on the path for managing their cash flow." 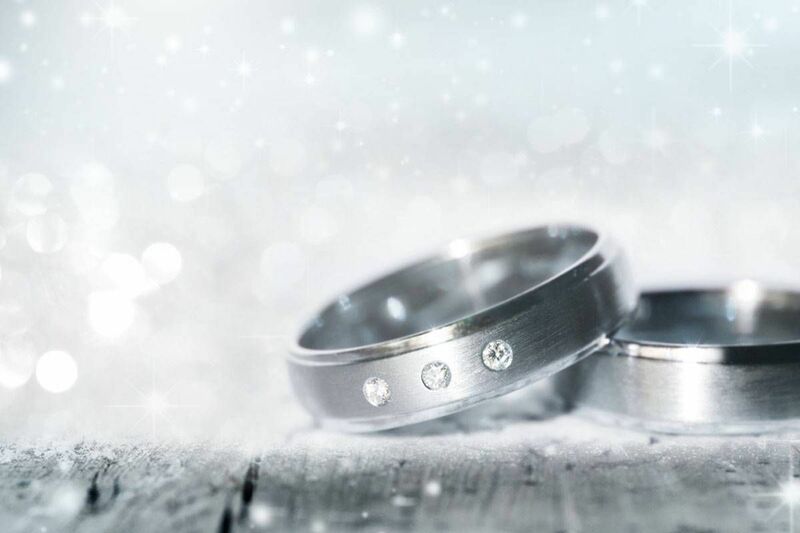 For couples planning to get married, getting their financial house in order is an important step, whether they're just starting their careers, wedding later in life, or remarrying after a divorce. There are all sorts of potential minefields to navigate: While many people rack up debt before saying their vows, others will have accumulated sizeable assets; one person may earn a much higher income than the other. For many newlyweds, wedding bells act as a financial wake-up call. In fact, 37 per cent of married Americans said they started paying more attention to their finances after exchanging vows, according to TD Ameritrade's recent Marriage and Money survey. Thirty-three per cent of married men and 28 per cent of married women reported saving more money after tying the knot. Furthermore, 30 per cent of married people said the moral support that keeps each other on track is the biggest financial benefit of getting married, while 30 per cent of married individuals said they rely on their spouses to help manage their savings and investments. Vancouver's Sheila Walkington, co-founder of Money Coaches Canada, says she has advised many soon-to-be wedded couples. Many ask about whether they should be drafting wills or purchasing life insurance. Other common questions include: How much does each contribute toward things like rent or mortgage and groceries? How do we "treat" each other to dinner out or a gift if our money is pooled in a joint account? How do we pay the bills when only one person is working while the other is on maternity or paternity leave? However, the conversations can get more complicated. One person may have more savings than the other, leaving the latter to feel inadequate. If one has more debt, he/she may feel like a drag on the family finances and ashamed as a result. Or one person may be thrifty, while the other is not. To avoid the kind of financial strain that can lead to marital stress, Ms. Walkington says it's vital for couples to be up front and establish expectations from the get-go. "The wake-up call usually comes when one person has a lot more debt than the new or future spouse and they don't want to burden their new partner with it," Ms. Walkington says. "Or maybe one partner has a child from a previous marriage and is paying support. In both scenarios, like it or not, the new partner will be affected by the finances of the other. If there are hefty debt or support payments, there will be less money available for housing, for trips, for savings, and for fun, and this can cause stress or pressure if there isn't a clear plan and clear expectations. "Many people mistakenly assume that, as a new couple, they will manage money the way 'I' have always managed it or the way 'my' parents did, but not everyone was brought up the same way or has the same values, behaviours and habits," she adds. "So, unless it is all discussed beforehand, there could be a bit of a rude awakening." Excel spreadsheets can help couples set up a solid budget, while Ms. Walkington also recommends they set up an online banking system where money is allocated every month to priorities and shared expenses. "Savings and debt payments are automatically taken out of the account on pay day," she says. "Money is moved to accounts for things like travel, gifts, and family fun, so it is clear how much is available for these types of expenses." Setting goals is another crucial step for new couples, says Steve Bentley, principal at Northern River Financial in Waterloo, Ont. His approach is to talk about financial aims that the two will have as a unit as well as individually. Identifying each party's money style and financial desires helps people to understand each other better. "People often assume they know the other person, but they don't necessarily know their personal money habits," Mr. Bentley says. "We want to create those conversations. For us, financial life planning is not just about planning for the future, but also planning for quality of life today." To do that, couples first have to grasp the basics of how much money is coming in and how much is going out, and where. To keep track of their cash flow (the term "budgeting" is a turn-off), Mr. Bentley recommends whatever approach suits people best, whether it's a spreadsheet, an app, or pen and paper. Millennials are especially adept at learning via online resources, including tools and tips that are increasingly being offered by robo-advisers. And while the concept of retirement may seem far off to young couples starting out in life together, Mr. Bentley says that they need to be prepared to consider all of the factors that could affect it, beyond savings. "With young couples, 'What happens if?' is a big question," he says. "What happens if all of a sudden, in a nuclear family, someone loses their life in a car accident? "Another one is: 'Where's that emergency fund?' Where's the pool of money for things you don't expect? "These are the kind of discussions you need to have when you're bringing your lives together," he says. "And the earlier you start, the better."